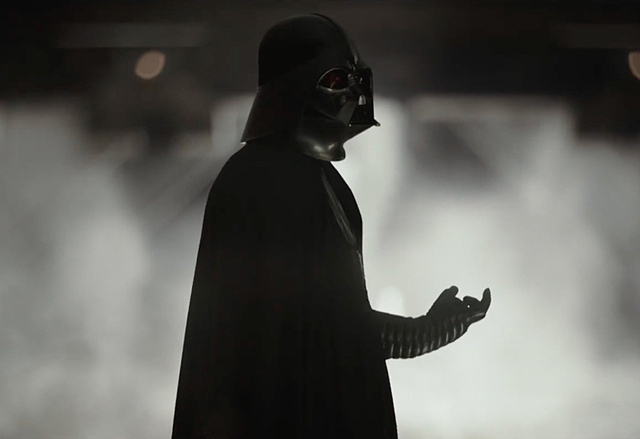 It goes without saying that Star Wars fans have been chomping at the bit to learn anything and everything of how Lucasfilm‘s new spin-off Rogue One: A Star Wars Story connects to the larger cinematic Star Wars saga. Now that we’ve seen the film, we can tell you all the juiciest Rogue One connections to the Original Trilogy as well as the Prequel Trilogy, which you can read about in our gallery below! For those wondering if they should read this article before they head into the movie this coming weekend, know that we do not discuss major spoilers on the fate of any of Rogue One‘s squadron of new heroes like Jyn Erso or Cassian Andor. What we do talk about is the many surprise cameos of saga characters and vehicles, as well as important story elements that overlap with the six films that George Lucas made between 1977 and 2005. There are no real prominent connections to last year’s The Force Awakens… that we know about yet. Directed by Gareth Edwards (Godzilla, Monsters), Rogue One: A Star Wars Story opens in theaters everywhere this Friday, December 16. Check out our list of 9 Rogue One Connections to the Star Wars Saga in the gallery below, and let us know what you’re most excited to see in the comments section!